A notary public (also known as a notary), is a trained professional who can provide limited legal services to the public. Notaries have been around for a long time. Babylonian notaries chiselled the oldest written law into stone over 4000 years ago. At that time, notaries were wise and trusted members of society. Their role was to oversee transactions and guarantee their fairness. The role has since evolved into a professional service, but its essence is still the same. Notaries still guarantee the fairness and legality of transactions. 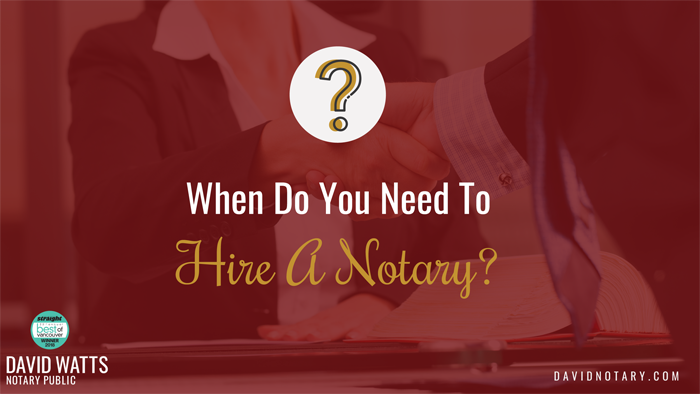 When Do You Need a Notary? 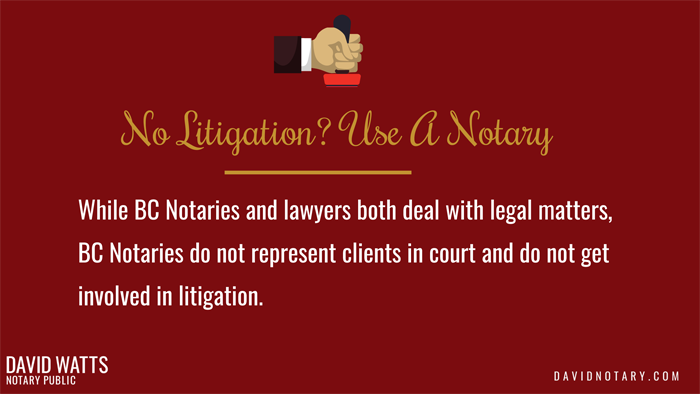 BC Notaries are experts in the areas we choose to practice. If we act for you in a residential real estate transaction, for example; our experience will help us to identify issues and deal with them before they become problems. If we do get to a place where litigation is necessary, we have a network of trusted referral partners and we will find a lawyer who’s an expert at litigation. What Can Bc Notaries Do for You? BC Notaries have professional standards dictated by the Notaries Act of BC. They also are governed by the rules, by-laws and best practices dictated by The Society of Notaries Public of British Columbia. That means that at David Watts Notary Public we are certified experts, and can help you with all your notary needs. We help you complete you with Purchases, Sales, Mortgages and Family Transfers. Prepare for the future with Wills, Powers of Attorney, and Representation Agreements. Get Documents authenticated and legalized for use in Canada and around the world. To find out more including information about our processes and receiving a quote please call or email us. We are happy to assist you directly or to provide a referral for someone who can help. As we approach the end of the year one of the things you may not be thinking about is claiming your Home Owners’ Grant. The Home Owner’s Grant is a base amount of $570.00 off your property taxes if the property is your primary resident; this amount is different if you are a senior citizen. What is important to remember is that if you’re a First Time Home Buyer and your lender pays your property taxes on your behalf, this process needs to be done by you.